This is for the original 1977 album. 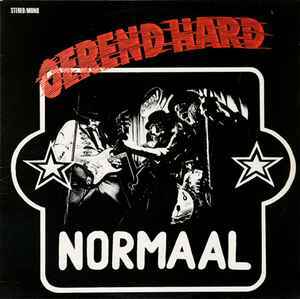 Compilations from 1987 and later that share its title and artwork can be found here: Oerend Hard. These compilations feature only 6 out of 12 songs of the original album: Oerend Hard, Doar Baal Ik Van, Oh Dearne, Ik Zag Niks Want ..., Hie Hef Geliek, and Alie.